Beautiful renovation of this 4-bedroom, 2 full bath Cape Cod situated on almost 1/3 acre. Gorgeous new kitchen with granite countertops, stainless steel appliances and recessed lighting. Southern sun-filled dining area with sliders to huge deck overlooking nice-sized backyard. Gleaming hardwood floors throughout. Updated lighting and fresh, neutral paint. Both bathrooms are sparkling clean and tastefully remodelled. Outside shed in addition to unfinished basement for all your tools, equipment and storage needs. 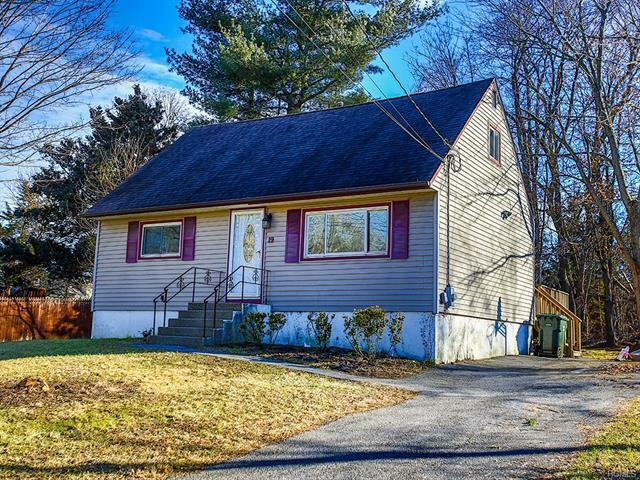 Home location is in a neighborhood right off 17M close to shopping, entertainment and super easy access to 17 (I-86) for commuting. Not to be missed. Call today before this gem is scooped up!! !